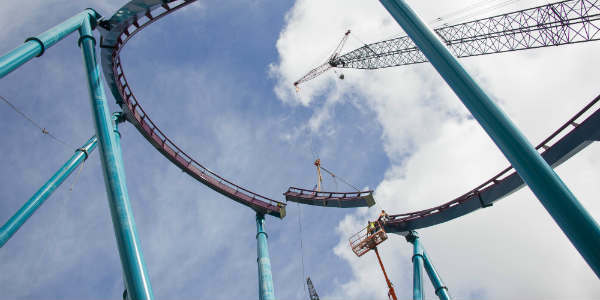 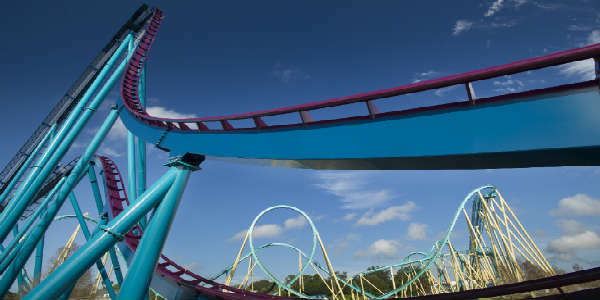 This week, SeaWorld Orlando installed the final piece of steel track for the Mako coaster, due to open this summer. 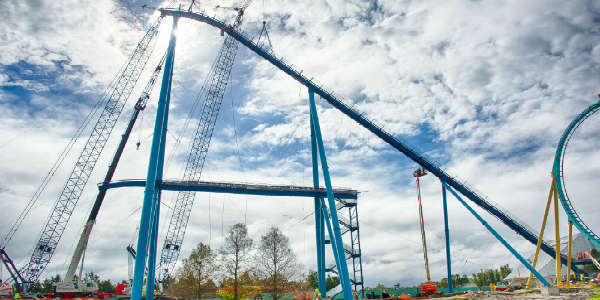 Following tradition, the 12,500-pound, final piece of track was topped with a waving American flag as it was lifted high in the air by a giant crane, and then bolted into place by workers. 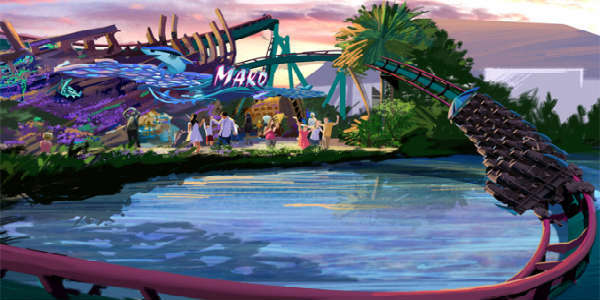 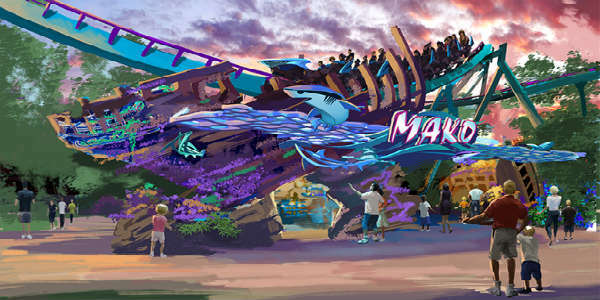 Construction is well under way at SeaWorld Orlando on the Mako hypercoaster, and the theme park started out the new year by topping off the ride. 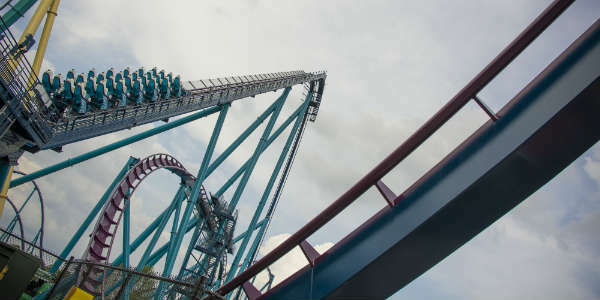 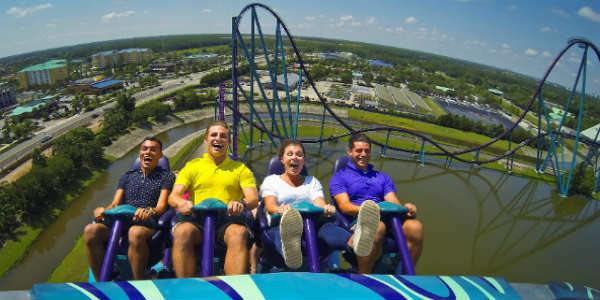 This occurs when the tallest part of the ride is installed, and on Mako, that’s the top of its signature 200-foot tall hill. 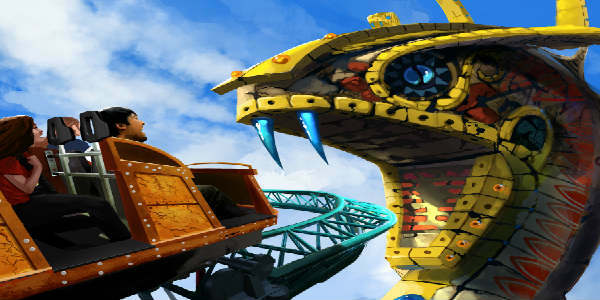 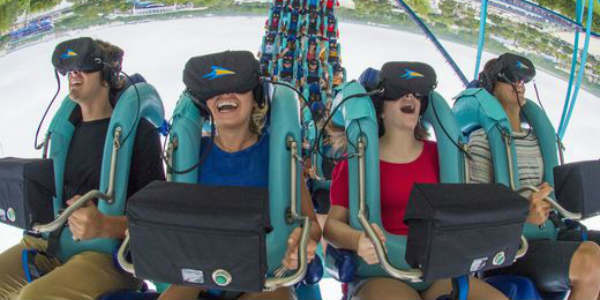 Busch Gardens Tampa has announced a new family coaster called Cobra’s Curse will open in the park in 2016. 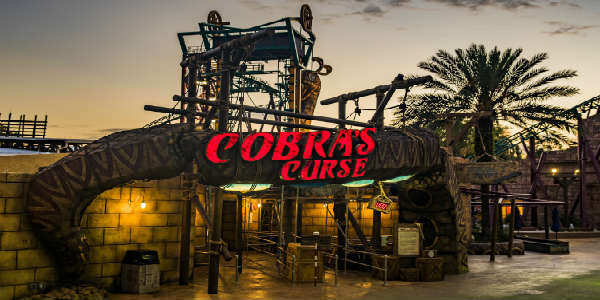 Located in the Egypt area of the park, Cobra’s Curse is a one-of-a-kind spin coaster that features a 70-foot vertical lift to start the journey.